Where Do Your Fall on the Viewfinder vs. LCD Screen Debate? LCD screens are great, aren't they? The quality of these screens seems to improve with each new generation of DSLR cameras appearing on the market. LCD screens have their advantages, but so do optical viewfinders. When it is time to frame a photo with your DSLR camera, you will need to decide which side of the Viewfinder vs. LCD debate you come down on. Unlike the optical viewfinder, the LCD screen will display the entire frame that sensors will capture. Optical viewfinders, even on a professional level DSLR, will only display 90-95% of the image. You will lose a small percentage on the very edges of the image. Despite the obvious qualities of the LCD screen, pro photographers (myself included) will still use the viewfinder over the screen. And here are the reasons why. Holding the camera out at arms-length while looking at the LCD screen — and then keeping the camera steady while trying to zoom in on a subject — takes a lot of effort. By using the LCD screen in this way, you will often end up with a blurry image. Digital SLRs are not the lightest of beasts, and it is far easier to produce a crisp, sharp image when you are holding the camera up to your eye to use the viewfinder. That way you can support and steady the camera and lens with your hands. This has to be the biggest problem with LCD screens. Depending on the quality of the screen, you likely cannot use them in bright sunshine because of problems with glare. All you will be able to see is reflections off of the screen. In addition, the crystals contained within LCD screens have a tendency to "flare" in bright sunlight, making the situation even worse. Using the LCD screen to compose your shots drains the batteries in your camera much more quickly than using the viewfinder. If you are out shooting, with no access to power points to recharge your batteries, you will be grateful for the extra battery power! At the end of the day, as clever as digital cameras are, the human eye is able to resolve more detail than an LCD screen. Argue all you like about this point, but you will end up with a sharper and more precise view of your image by using the viewfinder. No matter how good your LCD screen is, it is unlikely to give you a completely accurate overview of the image you have just taken. Most LCD screens tend to overexpose an image by as much as one full stop. 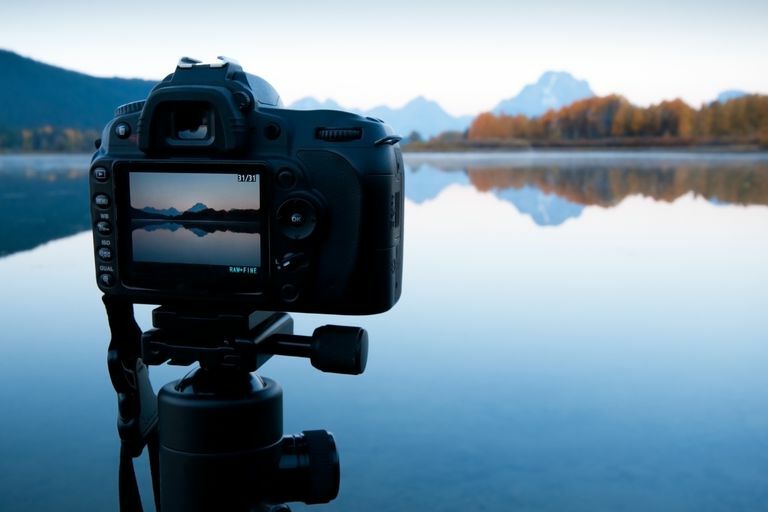 It is best to acquire the technical knowledge about photography to give you the confidence that your settings are correct and your images are properly exposed, rather than relying on the LCD screen to determine image quality.